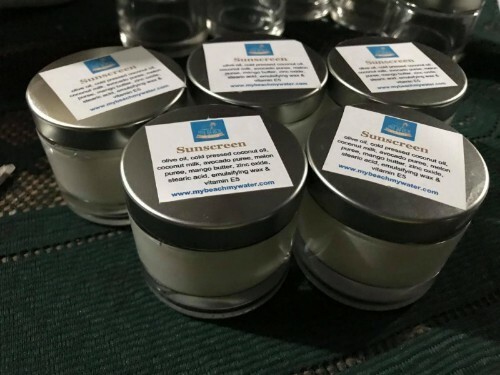 We offer a line of carefully curated products which make your beach experience safe, sustainable and enjoyable. The products contain natural and pure ingredients and do not contain harmful chemicals which would impact coral life. 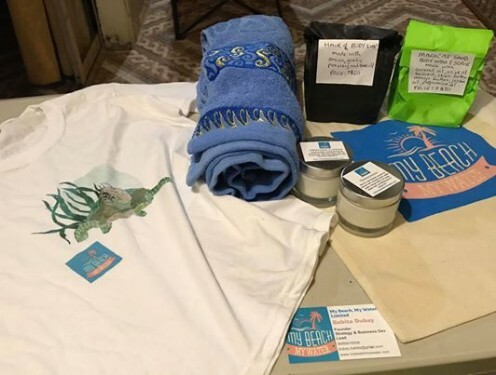 The products also encourage sustainable living as there is zero use of single use plastic, no unnecessary wrapping and we offer a line of reusable beach bags that can be used on the beach but also for shopping in the market or grocery or any other store. We continue to expand our spectrum of products to suit our customer needs and to encourage safe, sustainable enjoyment of the beach! 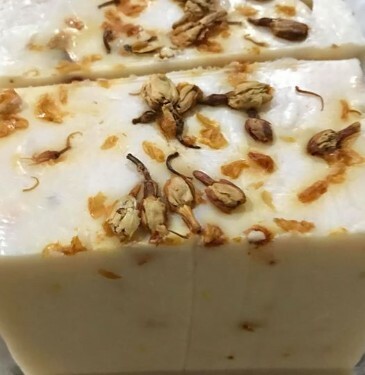 Shampoo, Bodywash and Exfoliating bars that support zero use of single use plastic as you just buy one our bars cut from our loaves and we wrap it for you in recycled/reused paper or clean used pieces of cloth left over from sewing projects. 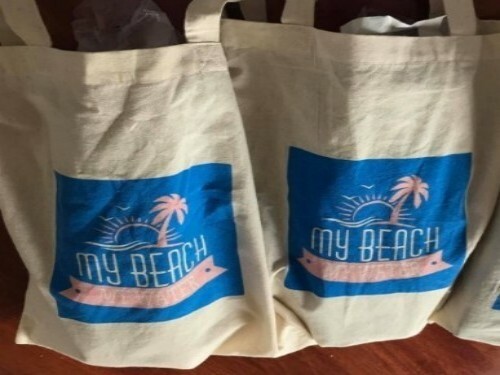 A cotton beach bag with our ‘My Beach, My Water’ logo on it You can toss in all your beach day fun items into it or use it for shopping at the grocery, market or anywhere! Hey why not take it with you to the gym! We look for the coolest designs that will make you feel inspired and fun filled while at the beach. 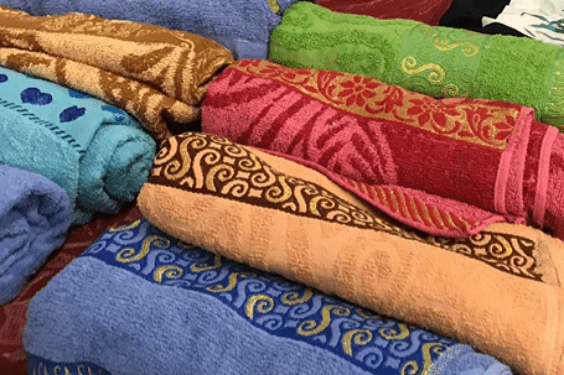 Our towels are made of a mix of cotton and we are continually looking for cutting edge materials and cooler designs to give you a fun and comfortable beach experience. 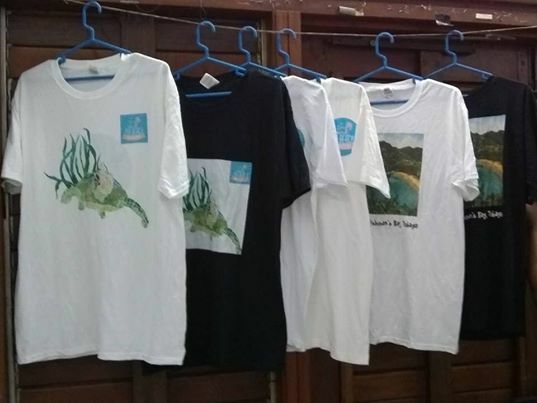 Our inhouse designer art work T-Shirts celebrate the beaches and marine life. We currently have an Englishman’s Bay and Turtle design. Become a part of our family and wear one of our ‘My Beach, My Water’ logo T-shirts and be an ambassador for our cause. Tell them just why a particular beach is your favourite and how you enjoy it safely and sustainably and what part you are playing to preserve our beaches for generations to come and preserve our marine life. We upcycle clean unused materials from sewing projects and attach them to plain old beach flip flops to make them fun and fashionable on the beach. Choose one of our just surfin’ designs now and ride the Caribbean current to fun! These attractive cotton bags are attached with 2 strap handles and are a great natural material bag for use at the beach or at the grocery. Return the bottle for no refill and get back TT$10 rebate. Or just keep and enjoy bottle as you like but please reuse! 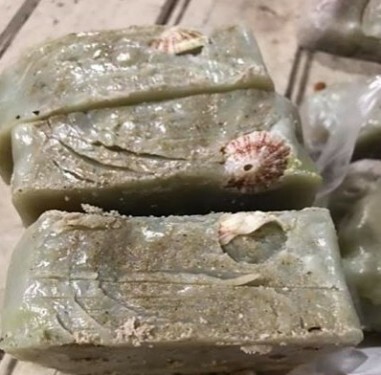 This bar is straight out the sea and made with our all natural ingredients: sea sand, peppermint oil, coconut oil, olive oil, jojoba oil, shea and mango butter. Cut a bit and pack in your beach bag to go! The price ranges from TT$20 to TT$50. It's creamy enough to be used a body wash, shampoo and conditioner all in one. Just slice a bit and pack in your beach bag and go! No waste, no plastic and saves on cost. 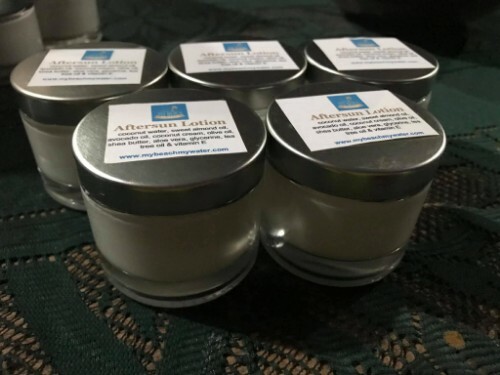 Made with natural products: garlic, onion, parsley and tree oil don't worry it smells heavenly! Prices start from TT$10 to TT$60. Join us on our adventure to encourage safe, sustainable and enjoyable beach living here in the Caribbean and elsewhere! Become an ambassador for us or just wear it for fun on a beautiful beach day or any day you want to remember the beach! Our team wears it and you can get yours too! Our T-shirts are currently available in black or white in either a turtle print or Englishman's Bay painted landscape. The artwork was done by local Trinidadian artists commissioned by My Beach, My Water. We continue to collaborate with local artists to expand our collection.